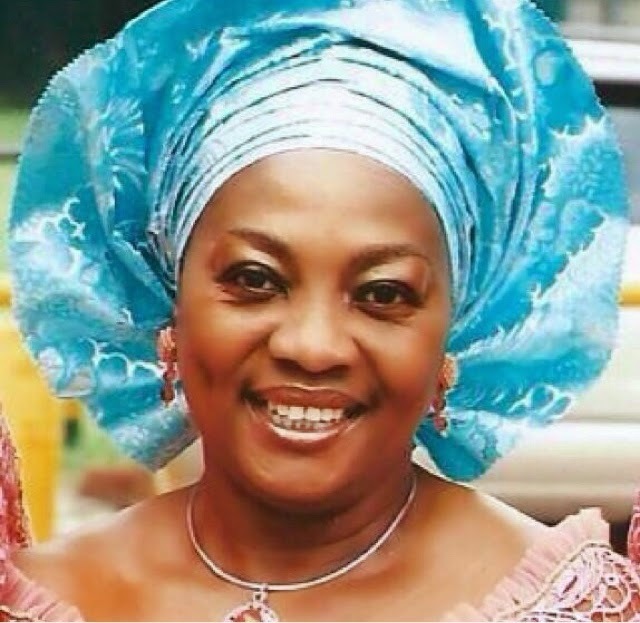 On August 19, 2014, Ameyo Adadevoh died of Ebola in an isolation ward in Lagos, Nigeria. Her death was not in vain. Professionally, she was known as Dr. Stella Adadevoh. It was her quick thinking and heroic actions that saved her country from the fate of the neighboring West African nations of Guinea, Libera, and Sierra Leone, where thousands of people have died from Ebola, and the disease still rages on. Nigeria, by contrast, had only twenty cases of Ebola and eight deaths. It was declared Ebola-free on October 20. Dr. Adadevoh gave her life to save her country from the ravages of Ebola. For that, she has become a hero in Nigeria. On July 20, 2014, Patrick Sawyer, a Liberian-American, flew from Monrovia, Liberia to Lagos, Nigeria. He knew that he had been exposed to Ebola. He had cared for his sister, who had died of Ebola just two weeks earlier. Yet despite the fact that he was already seriously ill, he flew to Nigeria, where he collapsed upon arrival at the airport. Mr. Sawyer told the doctors that he was suffering from malaria. They took him at his word. Nigeria had not yet had a case of Ebola, and the hospital staff was not on the lookout for it. They began treating him for malaria. That’s where Dr. Adadevoh came in. Upon examining him, she found that Sawyer’s symptoms didn’t seem quite right for malaria. When she heard that he’d flown in from Liberia, the pieces fell into place in her mind. When she and a fellow physician told him that they were going to test him for Ebola, Sawyer went ballistic. He enlisted the aid of the Liberian ambassador to Nigeria, who began pressuring the hospital to release Sawyer, and threatened them with a lawsuit if they didn’t. Sawyer himself became belligerent. He tore out his IVs and splattered blood and other bodily fluids all over the room, and on the attending hospital staff. The staff had to physically restrain him to keep him from doing even more damage. Through it all, Dr. Adadevoh stood firm. She was adamant that Sawyer would not leave the hospital. He would be an imminent danger to the country and its people, and neither she nor the hospital was going to allow that to happen, no matter how much pressure was brought to bear on them. She rallied the hospital staff behind her, and did her best to prevent panic from setting in. For that, she paid with her life. But her sacrifice saved her country from being engulfed in the Ebola epidemic that was ravaging its neighbors to the west. Once Dr. Adadevoh had identified Patrick Sawyer as Nigeria’s Ebola “patient zero,” the rest of the country’s health care system sprang into action. They tracked down everyone who had come into contact with Sawyer, and successfully contained what otherwise could have become a nearly unstoppable epidemic in the populous, densely packed cities of Nigeria. Dr. Adadevoh was on the medical front lines of the battle against Ebola in Nigeria. She stood between Nigeria’s 173 million citizens and a man who cared so little for the wellbeing of his fellow human beings that he intentionally infected the hospital staff caring for him, and attempted to break out of the hospital, where he would likely have spread the disease to the general population. To put it in Biblical terms, Ameyo Adadevoh died for the sins of Patrick Sawyer. Adadevoh herself had done nothing wrong. She was just doing her job. And she was willing to put her life on the line to safeguard the health of her fellow Nigerians. Sawyer, on the other hand, knew that he had been exposed to Ebola, and lied about it. When he was found out, he got violent and caused the death by infection not only of Dr. Adadevoh, but of three other hospital staff. The remaining three (of eight) Ebola deaths in Nigeria were also traced to him. His reckless actions killed seven innocent people in addition to himself, and put an entire nation at risk. In standing up to Sawyer, bearing the brunt of his attacks, resisting political pressure to release him, and giving her own life to prevent him from infecting many more people, Dr. Adadevoh provided an example of what it means to follow in Christ’s footsteps . . . and what it means that Christ died for our sins. We humans have all sinned and gone astray, starting with the sin of Adam and Eve in eating from the tree of knowledge of good and evil in defiance of God’s prohibition. Due to God’s anger and God’s justice, we are all under a sentence of death for our sins. We sinners are unable to satisfy God’s perfect justice or assuage God’s divine wrath by our own efforts. Therefore we were all condemned to the death of eternal torment in hell. So that we would not all die that eternal death, God sent his only Son to die instead of us. By his perfect, sinless sacrifice on the cross, Jesus Christ satisfied God’s justice, and assuaged God’s wrath. From then onward, anyone who professes faith in Jesus Christ is saved from the penalty of sin through the merit of Christ, which is transferred to believers so that God the Father could smile upon them and lift them up to heaven. In other words, in traditional Christian theology, Christ died for our sins by dying instead of us, thus taking upon himself the penalty for our sins that otherwise would be meted out to us by God. There are so many problems with this theology that we could spend the rest of the article just listing them. For one thing, it makes God out to be an awful tyrant. But let’s stick with just one reason this theology is mistaken: It is not taught in the Bible. For years I have been challenging traditional Christians to come up with even a single verse in the Bible saying that Jesus paid the penalty for our sins. No one has ever been able to. Jesus died because of our sins . . .
For now, let’s use the human example of Dr. Ameyo Adadevoh—which gives our limited human minds something simple and concrete to grasp in understanding the far greater, universal work of salvation that Jesus Christ accomplished by his life, death, and resurrection. Like Dr. Adadevoh, Jesus Christ had done nothing wrong. In fact, unlike any human being (including Dr. Adadevoh), Jesus never sinned once. It says in the letter to the Hebrews, “He was tempted in every way just as we are, yet without sinning” (Hebrews 4:15). It was we humans who were sinning in every way possible. And we humans, not God, were the ones who killed Jesus Christ. We killed him literally by wrongfully condemning him to suffer the death penalty in a most excruciating way. But we also kill him within our own souls and in the world every time we break God’s commandments and act from selfishness, greed, and a desire for power and money instead of from a love for our fellow human beings and for God. In the very same way that Dr. Adadevoh died due to the irrational and selfish behavior of Patrick Sawyer, Jesus Christ died due to the selfish, irrational behavior of all evil and sinful human beings. God was not punishing Jesus Christ for our sins. Rather, Jesus Christ chose to bear the brunt of our evil and sinful behavior in order to accomplish what he came here on earth to accomplish. Dr. Adadevoh died in the course of her duties as a doctor in order to save her nation from the deadly Ebola epidemic that was ravaging three of its neighboring countries. Jesus Christ died to save the entire human race from its own massive epidemic of evil and sin, which threatened to infect all people on earth, and snuff out our spiritual life forever. As I live, says the Lord God, I have no pleasure in the death of the wicked, but that the wicked turn from their ways and live; turn back, turn back from your evil ways; for why will you die, O house of Israel? (Ezekiel 33:11). Just so, God came to us as Jesus Christ in order to protect us from the mounting human evil that was threatening to overwhelm us, and in order to turn us back from our evil ways so that we could live and not die. Just as Dr. Adadevoh stood between her fellow Nigerians and the evil of a man who didn’t care how many people he infected with the deadly Ebola virus, so Jesus Christ stood between all of humanity and humankind’s own rampant evil and sin. He bore the full brunt of everything we could throw at him, but refused to yield to it. He fought a heroic spiritual battle against all the evil of humankind—against all the powers of the Devil and hell—and overcame it, bringing all evil under his personal control. And now, because Jesus Christ was willing to die in the process of facing, overcoming, and breaking the power of our evil and our sin, he can give each one of us the power to face and overcome the sins of ego, selfishness, and greed within us that threaten to take us over if we yield to their power. Yes, Jesus died for our sins. Though he was perfectly innocent, and never once sinned, he was willing to plunge himself into the middle of the brutal and evil world that we humans had created, and take the full brunt of our fury. In doing so, he saved us from the killing blow that would have finished us off as human beings. He arrested our downward plunge into brutality and inhumanity, which threatened to choke off all of our spiritual life, and render us more brutal and barbaric than even the fiercest of animal predators (who, after all, kill only what they need for food). Just as thousands of Nigerians were saved from a deadly Ebola outbreak by the heroic actions of Dr. Ameyo Adadevoh, so all of humankind was saved from the deadly outbreak of human evil that threatened to engulf and destroy everything good in human society. This is what it means that Jesus died for our sins. He died at our hands, due to our sins of rampant greed and grasping for power. And he died to conquer that massive buildup of evil in the world, and in so doing provide a straight highway for all people of good will to find our way out of the gloom of our own darker nature, and into the light and mutual love of true human community both here on earth and in the eternity of God’s heaven. ‹ Why is Evil Sexier than Good? Excellent article, Lee, you made a difficult subject much easier to understand. Thanks, Walt. Glad it was helpful.